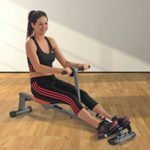 Is The We R Sports Premium Rowing Machine As “Premium” As Claimed? 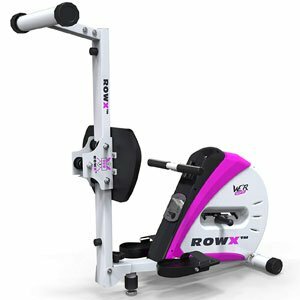 The We R Sports Premium Rowing Machine certainly looks like the sort of rower that many people would want to use at home. The black, purple and grey colour scheme should attract plenty of buyers, as should the compact shape and the obvious padding on the seat. The aim of this machine is to allow users to build a little tone and lose a little weight at home. But, there isn’t much talk about settings and programmes in the specification. Does this model do enough to meet users’ needs? 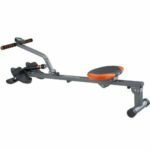 The Pros and Cons of this We R Sports Premium Rowing Machine. a little cheap in places. There is the potential for a good session for the right user with this We R Sports Premium Rowing Machine. There is no getting away from the fact that this model has a basic specification. There isn’t much going on here with the settings or display but the bare minimum. Users can enjoy a basic motion with the gliding seat and handlebar and track their progress on the LCD display. This console show the time elapsed, distance and speed. This is all that some less-experienced buyers are looking for. They don’t want complicated settings or the gym experience. This means that this model is accessible and accommodating for less-able users. That idea of accommodating the less-able continues with the design. There may not be many details in the programming, but there are some nice features for comfort. The seat has foam padding and there are adjustable straps on the pedals. There is also a user weight allowance of 100kg. Users also like that it is pretty easy to store this away at home between sessions. Unfortunately, this enjoyable session is only experienced by a small group of users on the We R Sports Premium. The drawback with this model is pretty clear from the specification. There isn’t much in the way of resistance with this model. The specification claims that there are only 4 settings, and the highest doesn’t really offer much for more experienced users. One likens it to pulling on an elastic band, so not much of a challenge. This means that there isn’t any room for progression for users looking to build tone. 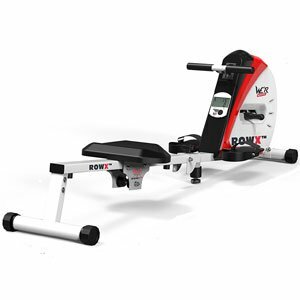 There are also buyers that comment on the cheaper feel of this rower. It looks great, but the materials aren’t the best quality and there are some glitches with the display. How do these comments affect any recommendations for this We R Sports Rower? 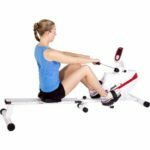 Overall, there are some clear pros and cons here that highlight the target audience for this indoor rower. This really is best suited to those after some basic motion and light exercise, such as those rehabbing injuries at home. The simple settings and general ease of use are great for inexperienced users. However, there is an upper limit on the benefits that isn’t particularly high. Gym users should look elsewhere, but those that want the most basic model possible can enjoy this We R Sports rowing machine. 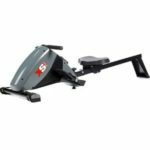 Find more reviews about the We R Sports Premium Rowing Machine on Amazon here.